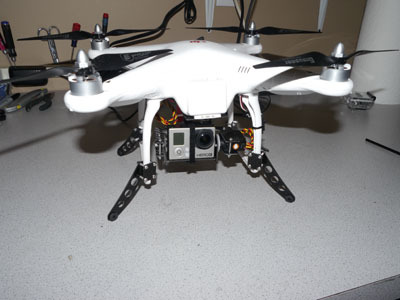 Add a full inch of height and four inches width to your DJI Phantom landing gear! 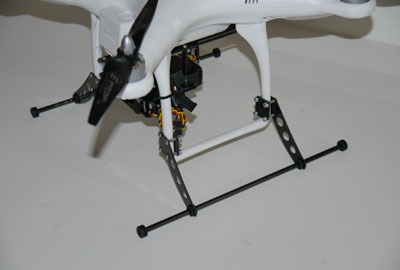 These pure carbon fiber feet clamp onto your DJI Phantoms stock landing gear. They will widen the stance of the landing gear from six to ten inches. 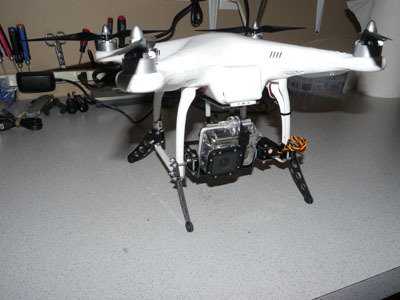 Rubber landing feet protect the carbon fiber and are adaptable to insert landing skids. These legs making landing and takeoff a breeze. Great for novice and advanced pilots alike. 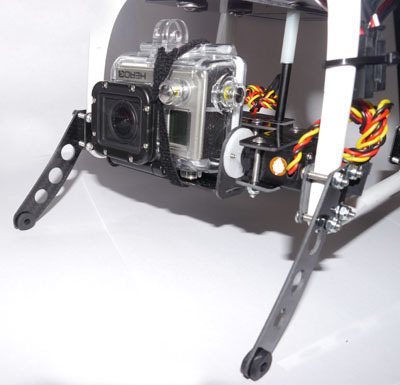 These feet are configurable for the PhantoMount X2 gimbals, They will allow additional space between your camera and the ground keeping your lens clean and out of the grass. Anodized aluminum hardware upgradable, less weight and great colors. Blue, Red and Purple available for order.